Kerala Hockey and CRPF will play the finale of Hockey India Senior Women National Championship on Sunday night. Kerala hockey and Central Reserve Police Force qualified for the final match after defeating Bengaluru Hockey Association and Steel Plant Sports Board respectively. The semi-final fixtures of 8th Hockey India Senior Women National Championship 2018 (B Division) took place in Ranchi. 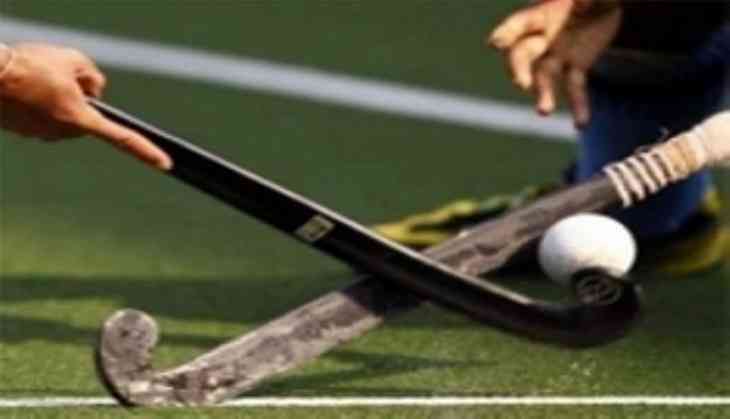 In the first semi-final, Kerala Hockey defeated Bengaluru Hockey Association with 2-0. KM Arya scored the first goal for Kerala in the first 10 minutes and also proved to be a strong defender. In the third quarter, Kerala hockey displayed fine attacking through Anju Shaji by scoring two goals in the first 40 minutes. In the second semi-final, CRPF took on Steel Plant Sports Board by 3-0. CRPF scored their first goal in the 3rd minute through Siddhi Singh and Priya Rai led in the second quarter in the 21st minute. Steel Plants effort to make a comeback in the second quarter went in vain. CRPF scored the third goal through Pricilia Tirkey in 58th minute to win by 3-0. Bengaluru Hockey Association and Steel Plant Sports Board will fight for Bronze today 6:00 pm. SRK didn't recognize Ranveer Singh on Twitter, when he asked Zero star did he watched Padmaavat yet? READ NEXT >> SRK didn't recognize Ranveer Singh on Twitter, when he asked Zero star did he watched Padmaavat yet?